These rounded toe pumps have a wide stacked heel. 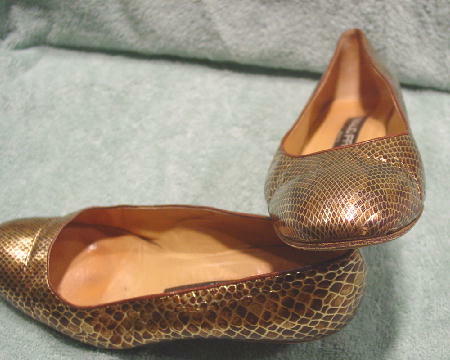 They have a reptile pattern with faux scales in coppery-brown, medium brown, and gold-tone base. 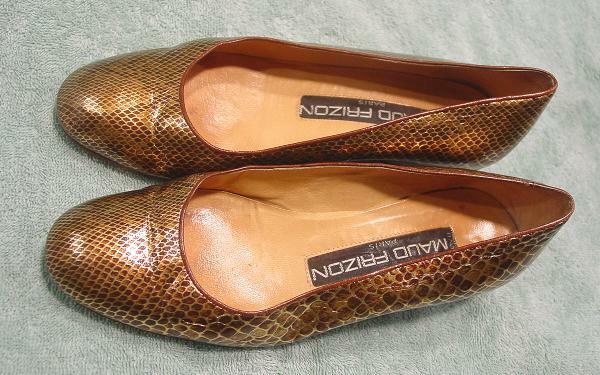 There are tan leather linings and insoles. 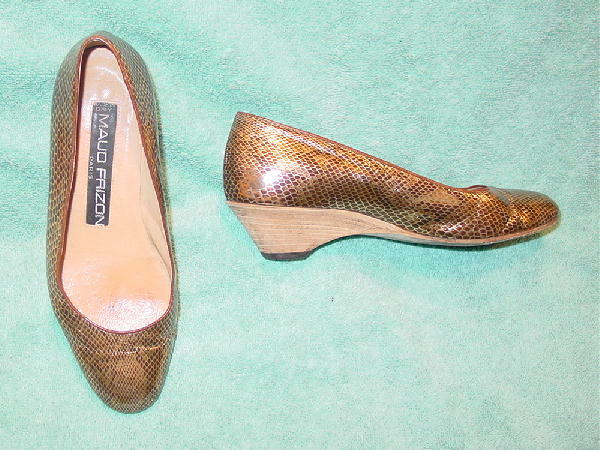 The left shoe back right side has an area where the faux scales are missing. 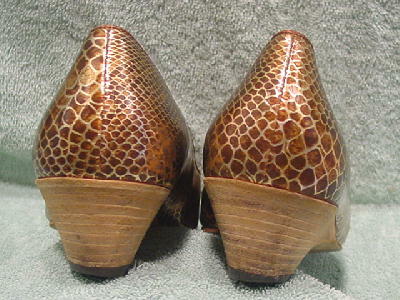 The vamps have wrinkles, and the right shoe front tip as it meets the sole has a small ding where the color is missing. The right shoe rubber heel is worn down more on the outer side. They're from a stylist's inventory, and were used in a magazine photo shoot.